E.Nesbit's well known classical story has come to life in this new staged production heading across UK theatres. The original 1906 book which was one of the first novels to be specifically written for children has very much a nostalgic and heartwarming feeling to it that makes it the perfect production for the family to enjoy. 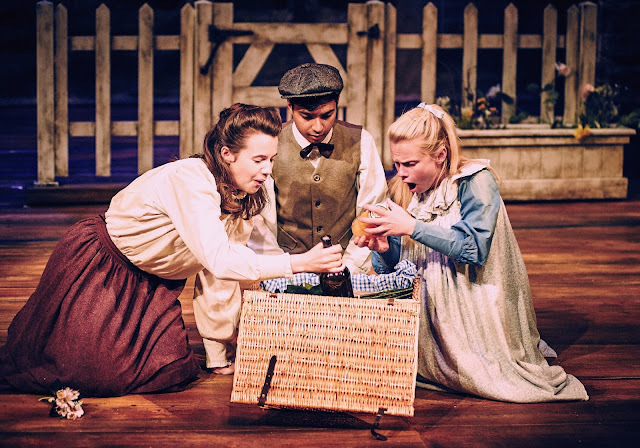 For those who aren't so familiar with the story perhaps, the story follows three children called Phyliis (Katherine Carlton), Peter (Vinay Lad) and Roberta (Millie Turner) who move to the Three Chimneys cottage with their Mother. Worlds away from their life in London, they take to the countryside to await the return of their father, who unknown by the children has been arrested. Whilst in the village the children create friendships with the railway station manager Perks (Stewart Wright) and his mischievous, cheeky son Jon (Callum Goulden) as they wait and wave to the trains every day in the hope that their father will return and everything will go back to normal. They also encounter different people and scenarios, including the heroic Old Gentleman (Neil Savage) and Szcpansky (Will Richards) on hand to help and inspire the children through these tough times. This production is very much aimed towards the family and for younger children to enjoy. Having such a success with the production, Director Paul Jepson wanted to create a way of retelling the story in a variety of venues. Therefore using a combination of printed backdrops and pre-filmed projections envokes the scenes especially those that involve the railway itself. These elements were enjoyable and effective, it really drew the interests from the audience as they watched in awe as the train moved across the back of the scenery before projecting into a full scale moving image of a train along with smoke machines adding to the effects. The play began with a late start due to some technical difficulties, despite this, they managed to sustain for a great performance. The train station takes on narrating the play for the entire duration - introducing key parts and was a great way of explaining the story to the younger audience members. It did add some charm to the performance, especially when he incorporated some comedic elements that integrated some light-hearted feels to otherwise a quite serious storyline, The small but incredible cast made for a great watch, drawn into the charm of Perks and the Old Gentleman. The people performing the roles of the children grow on you throughout the entire performance, in particular, Roberta's character who shows the maturity and responsibility of the eldest sibling well.Their bond between one another also evident and comforting throughout the play too. 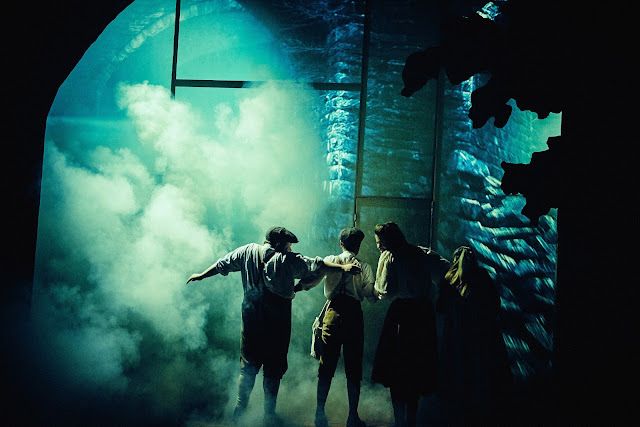 The Railway Children production definitely has the potential to become an unforgettable experience at the theatre, especially for the families in the audience. The high standard of acting is engrossing and there's a definite aura of nostalgia that will bring back wonderful memories of those who have read the book. But due to the slight production issues and sometimes some timing being off it distracted from what was happening on the stage. It definitely does offer a heartwarming experience that the entire family will enjoy. With us experiencing such worrying times in the world right now The Railway Children manages to capture and recognise the importance of community, decency and trust in society.